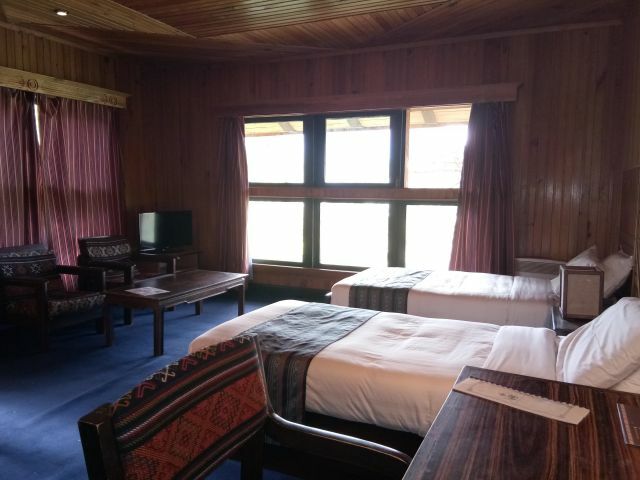 Established in 1974 for guests invited to the coronation of His Majesty the King Jigme Singye Wangchuk, Hotel Olathang is Bhutan's largest hotel sprawling over 28 acres of wooded land situated atop a hill overlooking the visually stunning and historically fascinating Paro valley. 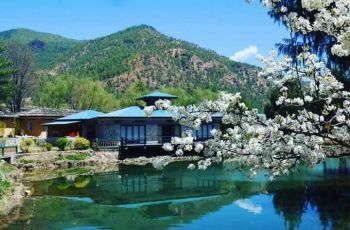 The fine art of living awaits you at Olathang. 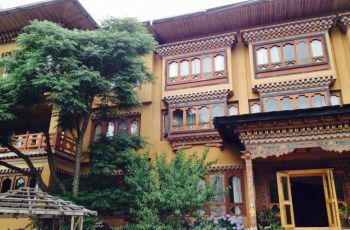 Experience legendary Bhutanese Hospitality with fresh, yet traditional Bhutan architecture, elegantly appointed with inviting decor. 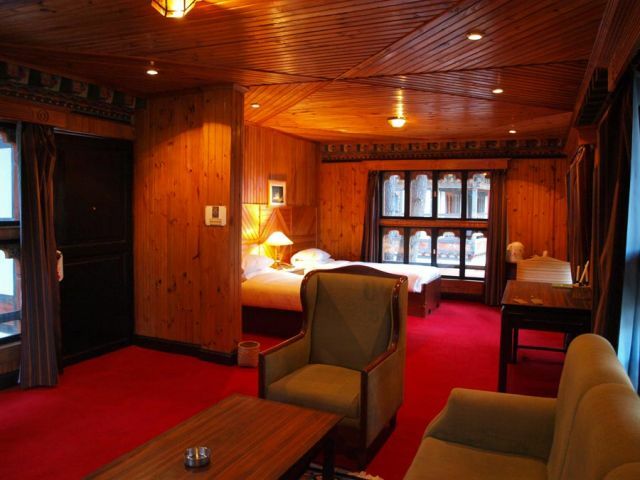 The rooms present the perfect accommodation showcasing spectacular views of the Paro Valley. 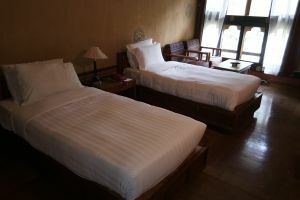 Guest will find endless relaxation and comfort within its plush enclave. 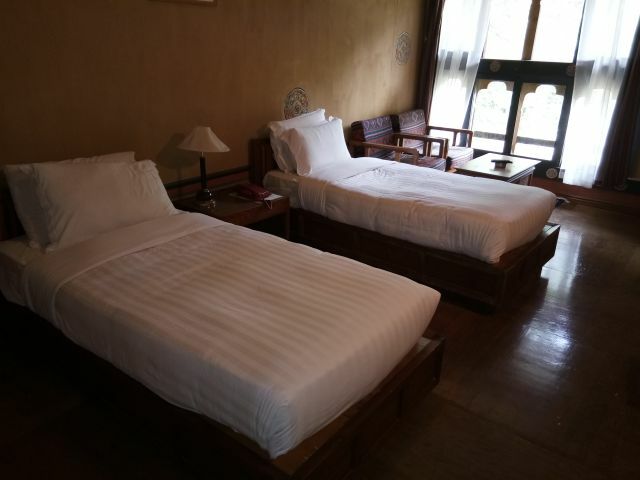 The hotel is beautifully located amidst blue pine forests and lush greenery exuding an ambience of peace and tranquility, enthralling visitors with its close intimacy with nature. 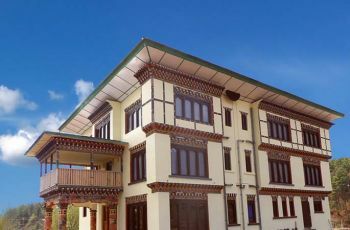 The architectural design and structure of its facilities presents a purely Bhutanese touch and feel to it, at the same time maintaining modern amenities, ensuring guests a warm and comfortable stay.With its well-trained and highly professional team, guests are rendered services with the unmistakable and unique charm of Bhutanese hospitality. 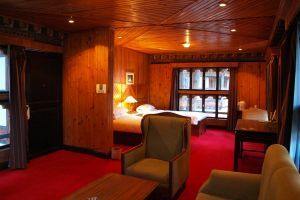 Here, guests have the option of staying in any one of the exquisite wood-paneled 26 rooms in central building or in one of the 33 rooms in the picturesque cottages spread over the pine-forested estate. 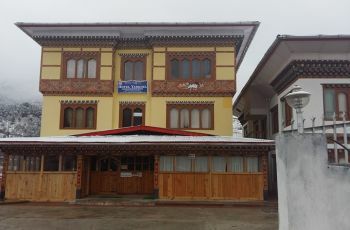 Other facilities include a splendid dining hall with a seating capacity of 100 guests as well as a well equipped conference centre with a seating capacity of 250 guests.The restaurant serve an array of Continental, Chinese, Indian and Bhutanese cuisine prepared by highly qualified and trained chefs. Other services such as catering and banqueting are also offered. The well stocked bar displays a wide selection of international and Bhutanese beverages. 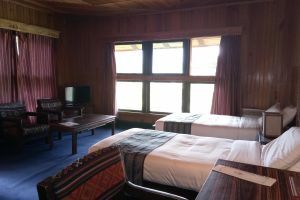 Also included are attached bath, IDD telephone, internet café, laundry, heating, television, shopping, room service, money exchange.